Our feet are the foundation of our body, carrying us through our lives, and often don’t get attention… Until there is a problem. That problem might be caused by something as simple as the shoes we wear. Our shoes can impact our gait, cramp our feet, and squeeze nerves that run all the way up to our hips and back. Or, it may be that we have poor circulation that impacts the movement and return of blood and the quality of nourishment the tissues in our feet and legs. In Chinese medicine, the head and feet reflect each other’s wellbeing and are connected in traditional Chinese physiology. In Chinese medicine, the body is organized into planes, trajectories, and levels, similar to a roadmap, or an irrigation system. Half of these trajectories and planes begin and end in our feet. One-quarter of all the bones in the body are in the feet. Our feet have more than 72,000 nerve endings! There are six basic Chinese channels (those roadways I mentioned) running through the feet and coursing up our legs. These channels connect our feet with our hands, neck, head, and other distal parts of our body. On each foot, we have 36 basic acupuncture points associated with these channels and an additional 21 Tung-style acupuncture points. That’s 57 points! Our feet bear all our weight when we move around and are more subject to injury than any other part of the body. Years ago in pre-modern China, physicians often compared the human body to a tree, with our arms as the branches, our torso the trunk, and our feet the roots. There’s an old saying that “With age, the root weakens first.” That is, our feet are the first to show our age. What Can Foot Soaks Treat? Here’s an incomplete list of what people treat with medicinal foot soaks. Insomnia and anxiety are two common conditions that respond quickly to hot foot soaks, especially when they’re done before bed. 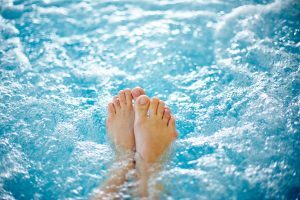 The heat from the foot soak works to bring down the agitation and relax the nervous system to encourage a state of calm and deepen sleep. This relaxation is helpful for the gut-brain connection and can help regulate peristalsis and bowel movements, and help improve absorption of nutrients. A foot soak is a simple, economical way to treat pain and stress conditions. It’s also a way to increase the effects of other treatments we receive, like acupuncture. The heat from foot soaks increases circulation moving fresh blood throughout our bodies, carrying herbs and nutrition, and enabling those tissues to repair and heal. Acupuncture works by similar mechanisms to decrease pain and increase circulation. When you add medicinal herbs to foot soaks the acupuncture becomes even more potent. Our skin is the largest organ of our body. During a foot soak, the heat, minerals, and herbs that we absorb through the skin of our feet have both a local and global effect on our body and emotions. 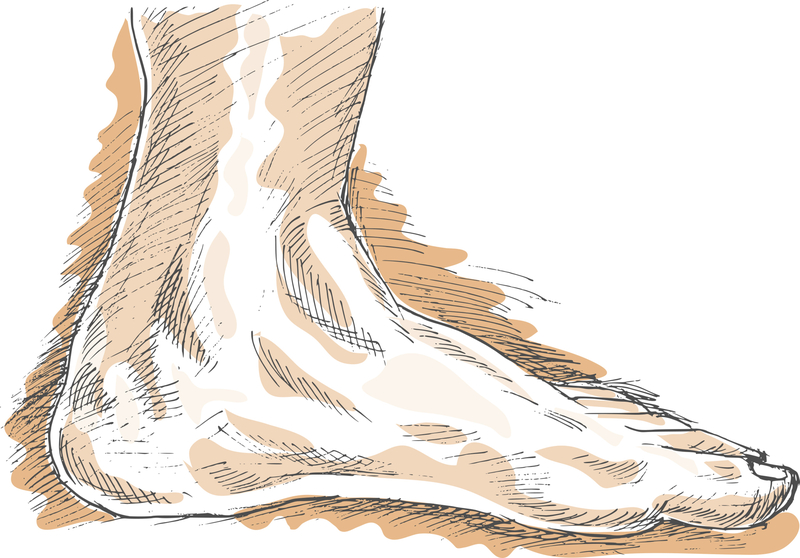 Foot soaking is a simple practice, but it can have a great effect on your health. Our bodies heal and rest best when we are relaxed so take a load off, and plunge in! And browse our blog for more info about self-care!